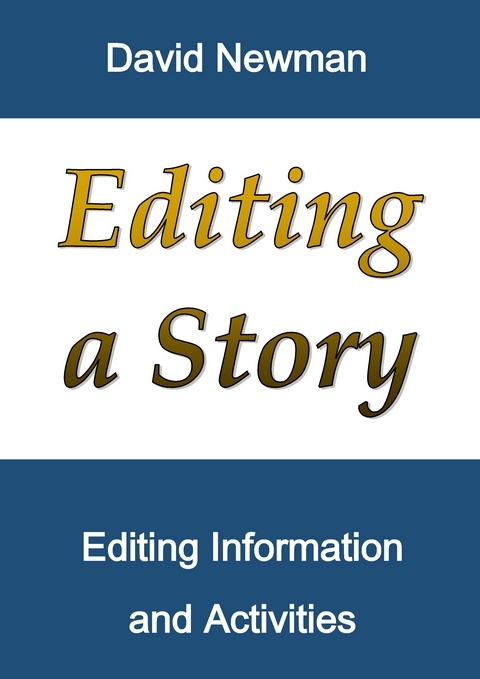 Editing a story involves students scanning their completed stories for errors or inconsistencies and essentially ‘tidying them up.’ Self editing requires students to critically analyse and reflect on their stories and be mindful of ways to refine and improve them so that the story has better flow and readability. A thesaurus can be useful to help edit words that are repeated too often and provide different and more varied words which provides extra colour and range of description to a story. Students are editing stories, not because they have made mistakes, but to make the writing better. Editing a story is an important and necessary process. Even the best and most experienced writers continually revise their writing to improve their stories and tighten construction. Students are encouraged to reflect on their characters’ motivations and actions. For instance, students could ask questions such as, Is the character’s behaviour consistent with his/her personality? Would the character really think those thoughts or perform those actions? Reading sentences or paragraphs aloud can also often reveal inconsistencies with sentence construction. Students can also have friends or family read sections of the story aloud to check if the passage makes sense. Students who have difficulty spelling can underline suspect words and check them later with a parent, friend or teacher. Most computer Word programs have a spell checker but students should also use a dictionary to assist them as required. Proofing a piece of writing for spelling and grammar errors takes practise and can be hard work, but can also be very rewarding to transform a piece of writing that is unfinished and messy to something that reads well and something you can be proud of. Begin instruction by reminding students that revision of written language writing isn’t about correcting mistakes; it’s about making something that is actually really good even better and the best way to make something better is to continually revise it. Students are encouraged to read their printed stories aloud to themselves with pen or pencil in hand. Students are to note any missing words or words that don’t really belong in a sentence. Students should write a line through words they wish to delete and add in words (perhaps in pencil at this stage) that they think will improve the stories flow. Students should make a note of possible spelling errors in words they are not certain about. These words can then be later checked with a parent or teacher. Any proper nouns (place names or peoples’ names) should be capitalized. If students consistently use similar or same words such as and then or overuse of common adjectives such as sad, happy, mad, good, bad, etc encourage them to look for similar but more descriptive words in a thesaurus. Once students have completed a draft of their story that they are happy with, they are encouraged to read the story out loud once more and to listen to the flow of words. Any words or phrases that don’t sound write to their ears, may not read terribly well on the page. Remove any offending word or phrase that breaks the narrative flow and once again check for spelling errors. The information on this page and a series of editing activities can be downloaded by clicking on the image below.